Spring has officially arrived, and the temperatures have begun to warm up. 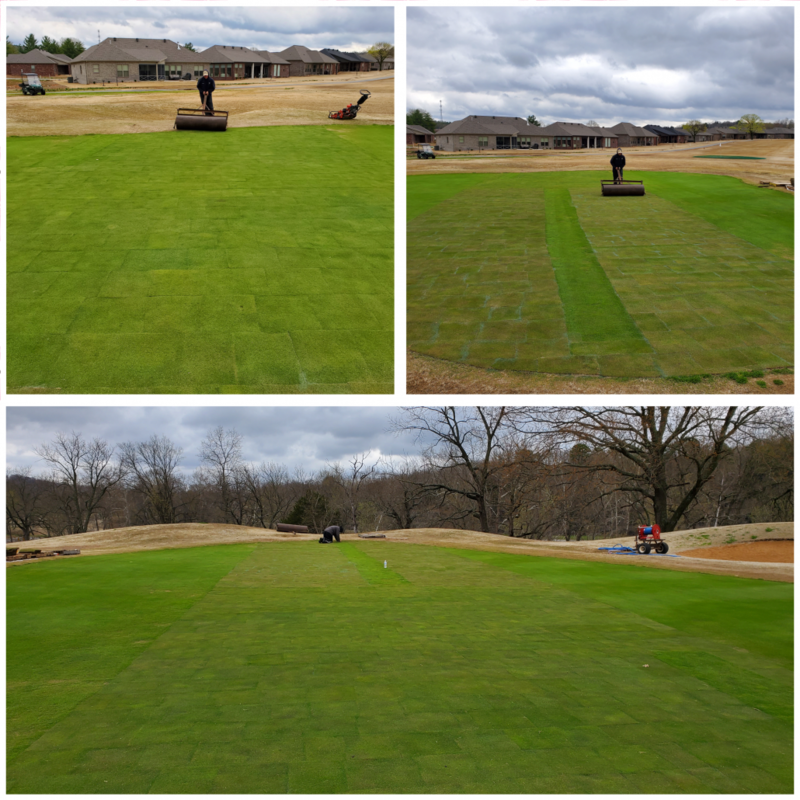 Thanks to Mother Nature, we were finally able to install the sod on #1 green at BVCC! 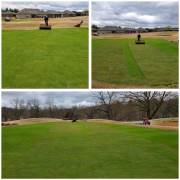 You will notice a difference in color between the sod on the front of the green and the sod on the back of the green. The front sod was laid 8 days prior to the back so the color is a little darker green. Given time, all areas of the green will start to blend in and look the same. Our plan now is to fertilize and water the sod, so it will eventually “root” into the soil and the seams will grow together. When this happens, we will then be able to do other cultural practices that will help smooth out the sod and get it into an acceptable playing surface. Thank you for your continued patience as we strive to get #1 green open for play!